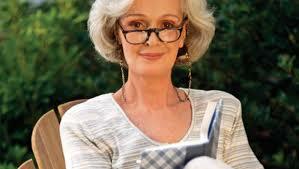 Female urinary incontinence is considered to be one of the first signs of aging. Characterized by the involuntary passage of urine from the bladder without any conscious control, this problem is often thought of embarrassing, at best and incurable, at worst. Fortunately, there is hope. Urinary Incontinence involves the leakage of small amounts of urine every time you laugh or cough, as well as a complete loss of control over your bladder functions in some cases. The problem is broadly categorized under two distinct heads: Stress Incontinence and Urge Incontinence. This type of urinary disorder is classified by the sudden passage of urine, in small doses, each time an increasing abdominal pressure is applied. It can be due to laughing, coughing, sneezing or even weight lifting. In women, this incontinence is mainly caused due to a loss of support from the urethra. During child birth or any trauma, the pelvic support structures are impaired and may lead to a stress-induced urinary incontinence accordingly. This urinary incontinence is due to an overactive bladder. Uninhabited contractions in the detrusor muscle leads to a large volume of urine leaking from the bladder- giving you insufficient time to get to a restroom. Both of these incontinences are medical conditions that largely go unreported to medical practitioners. Many individuals are uncomfortable discussing the situation with their doctors. If you’re suffering from such an issue, you need not consider wearing an adult diaper. A single shot of Platelet-rich Plasma could help to resolve your problem. PRP treatment for urge incontinence or stress incontinence is a modified version of the O-Shot, which is considered to be one of the safest, most reliable and cost-effective treatments for urinary incontinence for men and women. The treatment involves the extraction of blood from your body, centrifuging it to separate the platelet rich plasma from the other components contained in your blood, activating the growth factors, and depositing the solution into specific tissues. When injected around the urethra region, the platelets release a number of growth factors that stimulate stem cell production. This, in turn, stimulates tissue repair and regeneration around the bladder and the inner walls of the urethra. Most of the women experience a significant improvement in urine control and a relief from urine incontinence within the first week of PRP incontinence treatment. These improvements include both reducing the need to rely on medications for treatment, as well as resolving the underlying problem altogether in some cases. Involuntary leakage of urine is not just an embarrassing situation. It can lead to a number of progressive health issues, if not treated on a timely basis. Up to 50% of women aged 60 or above are likely to experience urinary incontinence on a frequent basis. This can lead to a low-self esteem, depression and even avoidance of physical exercise to avoid an embarrassing situation. Urinary incontinence in young women is even more dangerous. The weakening of the bladder and thinning of urethra can lead to persistent urine outflows after childbirth. Studies have proven that there is a direct link between incontinences in women and depression. A study by the Journal of Obstetrics & Gynecology in 2005 reported that women who suffer from urinary incontinence are three-times likely to suffer from depression than women with normal bladder function. When seeking PRP treatment, it is important that the PRP doctor is licensed, certified and experienced to carry out this highly specialized procedure. Treatment for urinary incontinence requires a highly trained physician. Call us today to schedule a free consultation to see if you are a candidate for our urinary incontinence procedure!